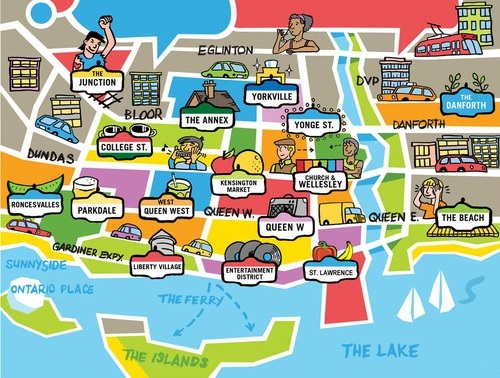 Toronto is a unique city, made up of a patchwork of neighbourhoods. When choosing Toronto as a destination, the dilemma is where to start on a local scale with so much to see and do? Map by Paul Dotey [www.pauldotey.ca]. ← Meet a Typical Brit in Toronto…or two: Nicola and Rosie Dempsey.